With the Dodgers down by three in the bottom of the ninth, Justin Turner looked like he had a sure hit to possibly spark a rally. 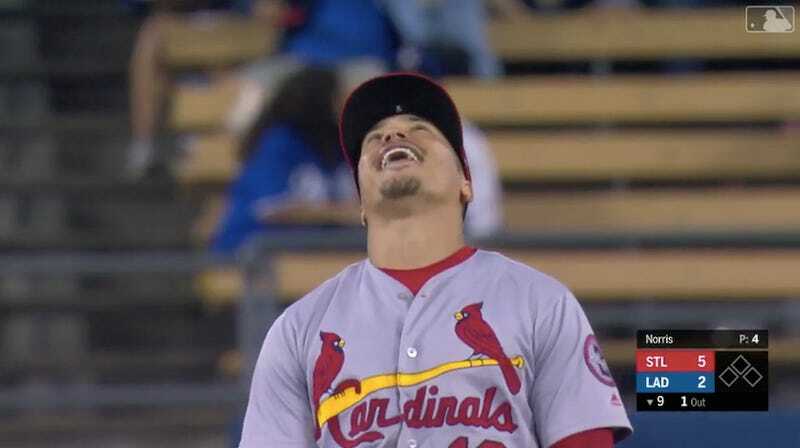 Then Kolten Wong happened. The Cardinals second baseman laid out to his right, and even though he bobbled the ball, he still got the out in Tuesday’s 5-2 win over the Dodgers. The umpiring crew upheld the call after replay. Wong was clearly pleased with himself—as he should have been. That throw was nuts!